Do you need a speaker who has an inspiring story of innovation and success in science or technology? 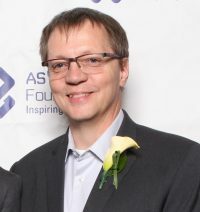 Welcome to ACCELERATE & CONNECT: ASTech Alumni Speakers Bureau. 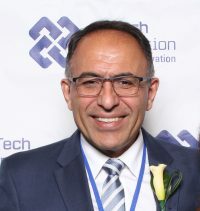 Our goal is simple: to connect our ASTech alumni (Finalists and Winners of an ASTech Award) and the broader community interested in science, technology and innovation. Invite our alumni to share their story of success to help inspire the next generation of innovation in Alberta. 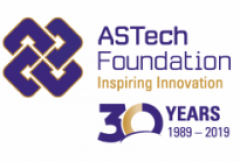 The ASTech Foundation shines a spotlight on incredible examples of innovation that often fly under the radar. We will gladly introduce you to any of our speakers and we’ll leave it up to you to sort out the details. This is a free service. For more info or to contact a speaker, please email info@astech.ca. VizworX is a software solutions and development company specializing in the application of leading edge interaction technologies and information visualization methodologies to drive customer success. 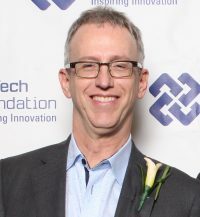 Jeff is a serial entrepreneur and systems engineer with over 30 years experience in technology commercialization. He thrives on pulling together complex technical and business requirements, contextualizing them in local and global environments and building teams to solve customer challenges. Dr. Nader Mahinpey holds the NSERC Industrial Research Chair in Novel CO2 Capture Technologies for Oil Sands Operations. 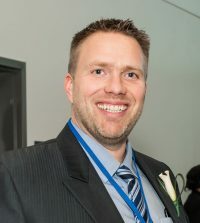 His research revolves around economically attractive reduced CO2 emissions capture for energy producers and developing novel technology to convert the carbon into useful products, thereby bridging the gap between short and long-term solutions. The technologies developed by Dr. Mahinpey have direct economic, environmental and health impacts on society and a broad range of application to the oil and gas industry, power plants, cement industries, synthesis of ammonia, natural gas purification and other chemical and petrochemical industries. Dr. Frank Maurer’s research interests are immersive analytics applications and multi-surface systems. His group’s research combines empirical approaches with the development of innovative tools and applications. He is a co-founder, CTO and Board member at VizworX. As a mechanical engineer, I love building robotic industrial equipment and working with technology to solve industrial and everyday problems. My rapid prototyping shop changes the way design is done. I would rather build it today and test it immediately than spend too much time on engineering. I want to show audiences they can do amazing things with the new tools that are available to everyone.